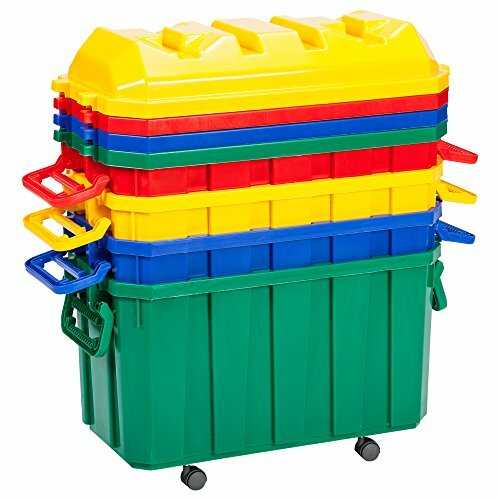 Make cleaning and organizing fun with the ECR4Kids brightly colored stackable storage trunk. The 18-gallon trunk and matching dome lid features locking handles and 360-degree swivel casters for easy mobility. When not in use, storage trunks are stackable for easy storage. The storage trunk arrives in a four pack in the following colors: red, yellow, green, blue or assorted. Recommended for use by ages 3 and up. Each measures 17.25" H x 27.25" W x 13.5" D.